Multigenerational families learn how to draw Nemo at Disney's Art of Animation. Which Walt Disney World hotel best fits a multigenerational family of five? 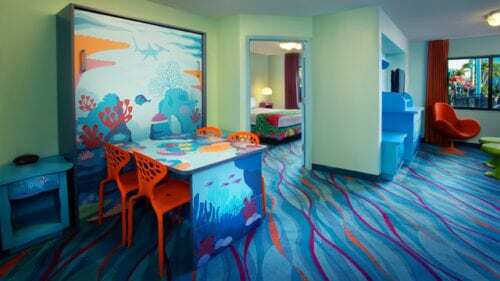 Say hello to the family suites at Disney’s Art of Animation Resort, with plenty of room to spread out, three sleeping “beds,” a kitchenette, and two bathrooms. Add a liberal dose of Disney’s storybook characters including Finding Nemo, Cars, The Lion King and The Little Mermaid, and your Disney family vacation will be a resounding hit. Multigenerational families learn how to draw Nemo at Disney’s Art of Animation. Take five multigenerational family members: two grandchildren ages 8 and 10; one daughter and her boyfriend ages 20 and 23; and me the Traveling Grandmom, and plop them in Walt Disney World for their first big travel adventure together. With so many Disney resort options, where do you stay? We choose a family suite at Disney’s newest resort, The Art of Animation. Complimentary parking and shuttles to the Walt Disney World theme parks. Last stop on Disney’s Magical Express shuttle. This delay might push young children, older grandparents and families in general to the cranky side. From the moment we boarded the bus at midnight with two stops before our hotel, our arrival wasn’t until 1:30 am. Long theme park shuttle rides. This resort is located near Hollywood Studios, but the Magic Kingdom, where families with young children might prefer, is a long shuttle ride. Our room overlooked the kid pool area, convenient for access, but noisy early in the morning. The resort is HUGE, so if your room is not next to your preferred pool or near the restaurants, it can be a pain to navigate the courtyards with young families. If your multigenerational family vacation is focused on the Walt Disney World theme parks, then it’s a no-brainer to choose a Disney resort. You start saving money immediately as there’s no need for a rental car. Complimentary Disney’s Magical Express bus transfers to and from the airport are included, and you’ll also receive free shuttles to all Disney theme parks. It’s all about the pools. My grandchildren are little fishies, and one mention of pool, let alone THREE pools, and they are all excited. The Art of Animation pool is actually the largest resort pool in Walt Disney World Resort. The pool are village pods of waters, featuring the theme of Finding Nemo. Our room was located near the interactive children’s pool with fun water features. There’s also an “adult” pool for big kids which includes a pool bar. From the moment you arrive, your multigenerational family will be immersed in Disney characters. Surprisingly, pick a Disney animated movie, any movie, and you’ll appeal to all ages. My daughter had great memories of Little Mermaid and the Lion King, while the grandkids were all about Nemo and The Cars. 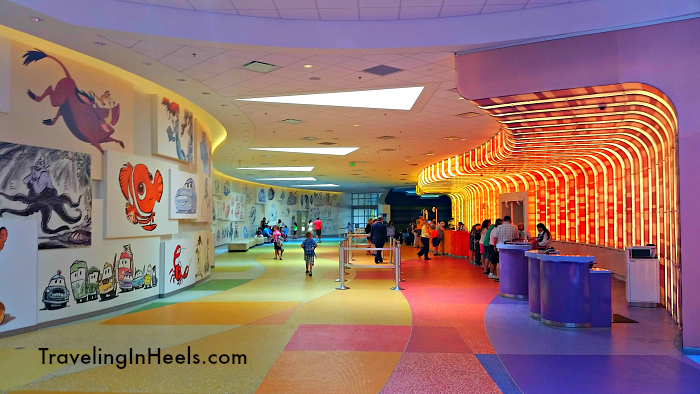 The lobby is a fun start to your resort stay, with animated characters from movies gracing the walls. From there, you’ll navigate the pools and corridors to find your pool. It truly is a maze – and amazing. 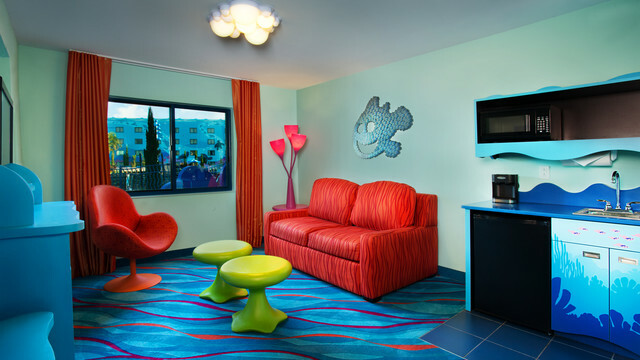 The Art of Animation Resort is Disney’s newest resort, with configurations including standard rooms and family suites. The kid-friendly room themes are Finding Nemo, the Lion King, the Little Mermaid, and Cars, and the resort is in the “value” category. Our Family Suite was the perfect set-up for our family of five (accommodating up to six). The grandkids bunked out on the double-size sleeper sofa in the living room and the stepdaughter and her boyfriend on the double-sized convertible Table Bed. The four of them shared a full bathroom. I hunkered down in the separate queen-sized bedroom with a bathroom, giving me private time. 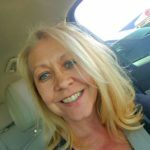 I’m an early riser, so it also gave me the opportunity to wake up early, quietly make coffee in the Keurig, and go back to my room to check emails, allowing the kids to sleep in. Watch some of your favorite Disney films outside in the fresh evening air at the Big Blue Pool Deck. Complimentary animation classes — all ages LOVE this. Both my grandkids and adult kids lined up for a chance to learn how to draw Nemo. Two dining options are available at the Art of Animation Resort. Landscape of Flavors is a fast casual restaurant, open for breakfast, lunch and dinner. Room service is family-style, delivering pizzas, wings, desserts, and beverages (including wine and beer). Families might want to consider adding a Disney Dining Plan to their resort package. Since you’re a complimentary shuttle away from theme parks and other Walt Disney World Resorts, you literally have dozens of dining options in Disney. Disclosure: Walt Disney World hosted my family’s stay at the Art of Animation for the purposes of a review; opinions expressed are my own.